I have been having such a lovely if exhausting Easter break with my beloved daughter. The week away with my family was brilliant fun and the cousins played together extremely well with Chloe delighting in bossing everyone about. We swam every day, went to the beach, ate food together each night and enjoyed being amongst the bustle of a large family. Our girl beamed and Neil and I did too. Since we have been back in Exeter Chloe and I have had fun on play dates, day trips to the beach, visits to the park and two separate visits to her favourite local attraction complete with bouncy castle, soft play area, big slides, trampolines and a massive pirate ship. Yesterday we went to an open day at the Donkey Assisted Therapy Centre where Chloe overcame her understandable fear and rode a handsome donkey called George for the first time. I have been so happy sharing precious moments with Chloe that even her innocently requesting seeing goggles for her birthday hasn't spoilt my positive mood. Until I got a phone call on Wednesday morning that has shaken me to the core and left me with a massive knot of anxiety in my stomach. On the day we took our tiny, profoundly deaf baby to the eye hospital and were told that she had very poor vision we were referred to a service which rescued us from the brink of despair. Rehabilitation Officers for Visually Impaired Children (ROVICs) are there to help steer you through the roller coaster journey of raising a visually impaired child in a sighted world. We started having regular visits from a wonderful lady (Super S) who came with a magic bag of tricks to help stimulate Chloe's vision. She was calm and reassuring from the start, helped to give us hope for our little one and best of all became our key worker. When your child has complex needs and you are involved with a number of health and education professionals you are entitled to have a lead professional who coordinates services and makes sure a clear plan is being followed. In the early years we had around fifteen professionals involved in supporting Chloe and they didn't always agree. Trying to negotiate our way between professionals in the world of hearing impairment and those in the world of visual impairment was sometimes tricky. Then there was genetic investigations, communication issues, physical development, countless appointments and targets to achieve. Super S not only helped us shoulder and come to terms with the weight of responsibility we felt but cleared the way ahead for us so we always felt our child (even with such massive sensory losses) had a future. She helped with the countless forms we needed to fill in to get the support we were entitled to, brought round equipment that responded to Chloe's needs, listened to all our fears and sadness and told us we were doing a good job even when we felt inadequate. She has been our champion from the start and has helped make an extremely difficult situation bearable. Our wonderful key worker could see how remarkable Chloe is and has stood up time and time again for the deafblind children she is lead professional for. When my husband broke his leg on Chloe's first birthday during the run up to her Cochlear Implant operation she got us the emergency care and support that stopped me from going under completely. She has helped families at breaking point by coming and listening to their troubles and actively seeking to change the situation for the better. You can probably see where this is going........ .On Wednesday at 9.30 S phoned me up to let me know she can no longer be our key worker. Case loads are stretched, targets are not being met (because there are not enough ROVICs to meet demand) and sadly something has to give. We no longer have an allocated key worker and if we have a crisis or things change for Chloe I now get to ring a number and speak to someone who I have never met and who doesn't know Chloe or our family. It makes me feel sick, vulnerable and scared. I would not have got through the last five years without this lady. I feel so lucky that we have had her, every disabled child and family should have a lead professional fighting their corner and speaking up for them. I know Chloe will go on and reach her potential partly because we had Super S working with us, pulling everyone together and steering us through the unchartered territory of our remarkable deafblind girl. Chloe is still a complex child with lots of professionals involved in her education, health and social care. 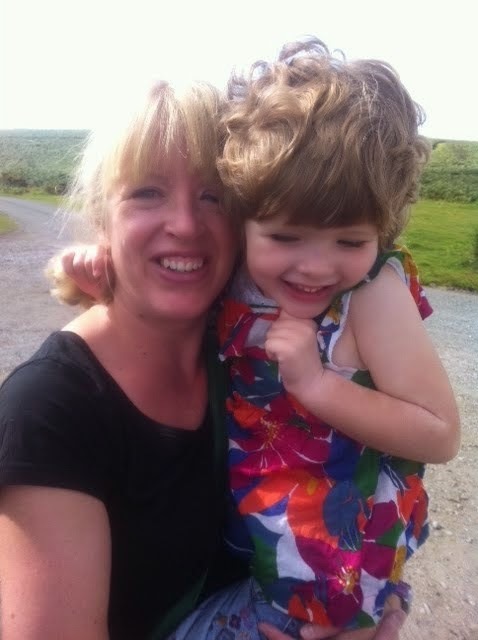 She is still profoundly deaf and registered blind and is on the deafblind record for Devon. None of that has changed. We are more stable as a family and the future for Chloe is a lot more certain. The rational side of me recognises these facts. I also understand there are younger children who need the skills of this remarkable lady. However I can't help feeling utterly bereft, rudderless and isolated. We have lost our champion and I don't feel very brave or positive tonight.